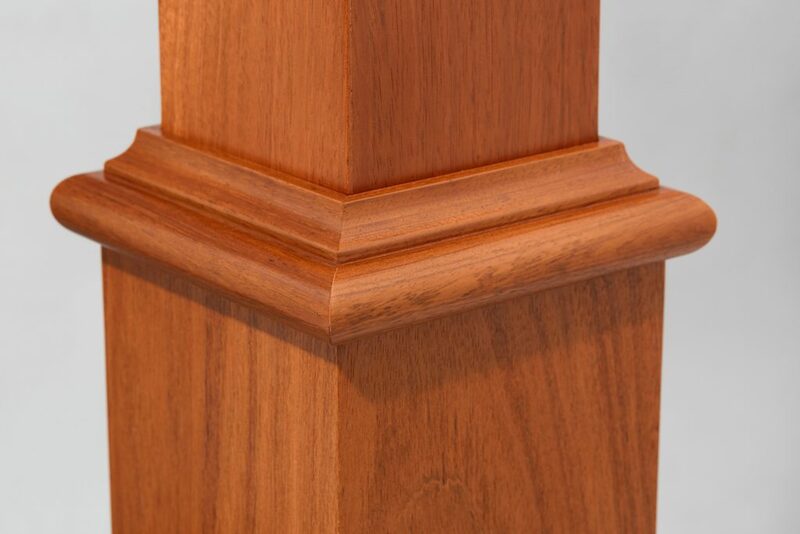 Primed in our professional spray booth, the 4891 Primed Fluted Box Newel is artfully constructed, prioritizing strength and aesthetics. 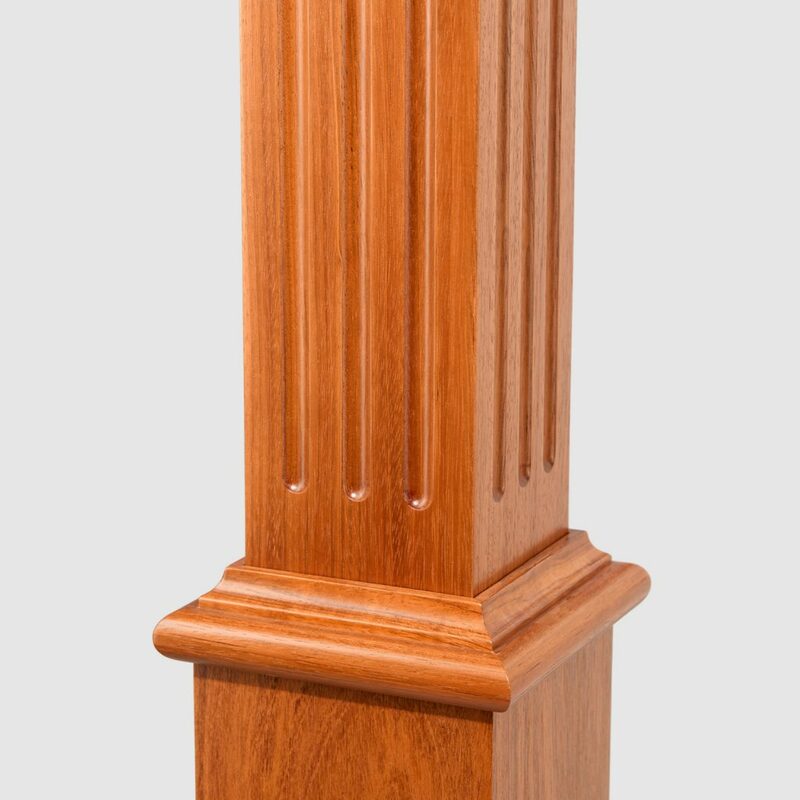 Beautiful milled fluting add texture and style. Personalize the 4891 newels with the paint color of your choice for a customized result. 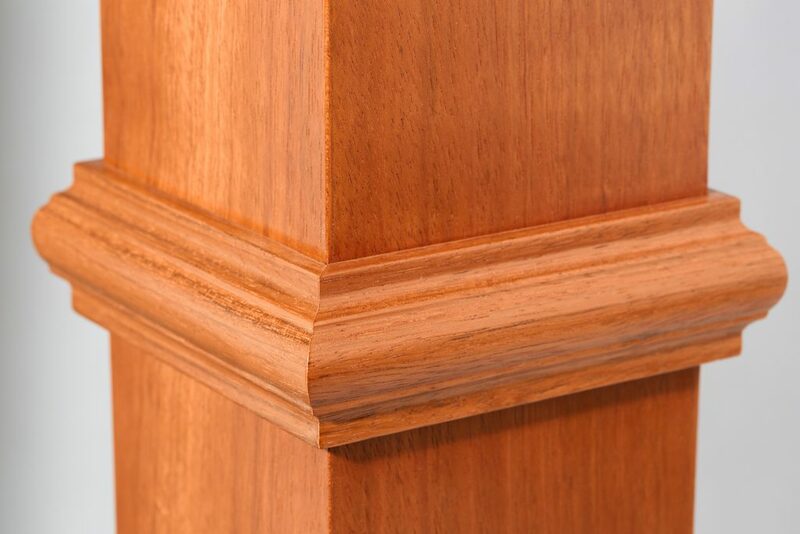 If you are interested in adding smaller, complementary newels, consider the 4622 Primed Fluted Box Newel. To install your 4891 Primed Fluted Box Newel, you will need the Box Newel Mounting Kit. Follow our Installation Video to ensure a secure fit. The Box Newel may be installed either on the surface of the stair tread or beside the tread. Due to their precise edges, we have found that Box Newels look best on a square starting step. Join handrail to your 4891 Primed Fluted Box Newel using a rail bolt kit. Many configurations allow handrail to mount directly into the newel; however, if your handrail is joining with your box newel on a rake, you may also require a gooseneck handrail attachment. 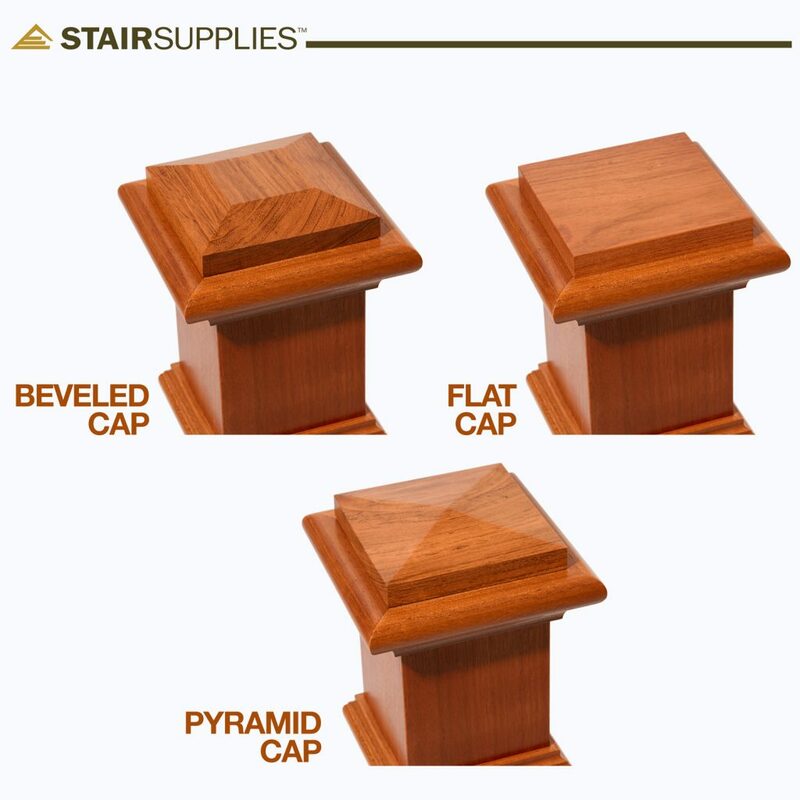 In order to maintain a consistent appearance when handrail must terminate into a wall, we offer Split Box Newels. 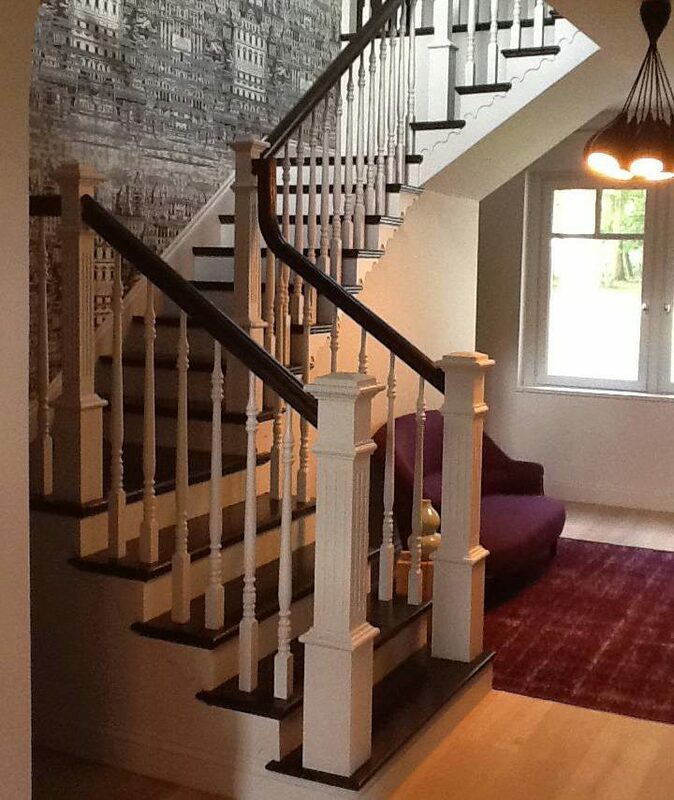 Attach the partial newel to the wall, and your handrail can be secured like normal. 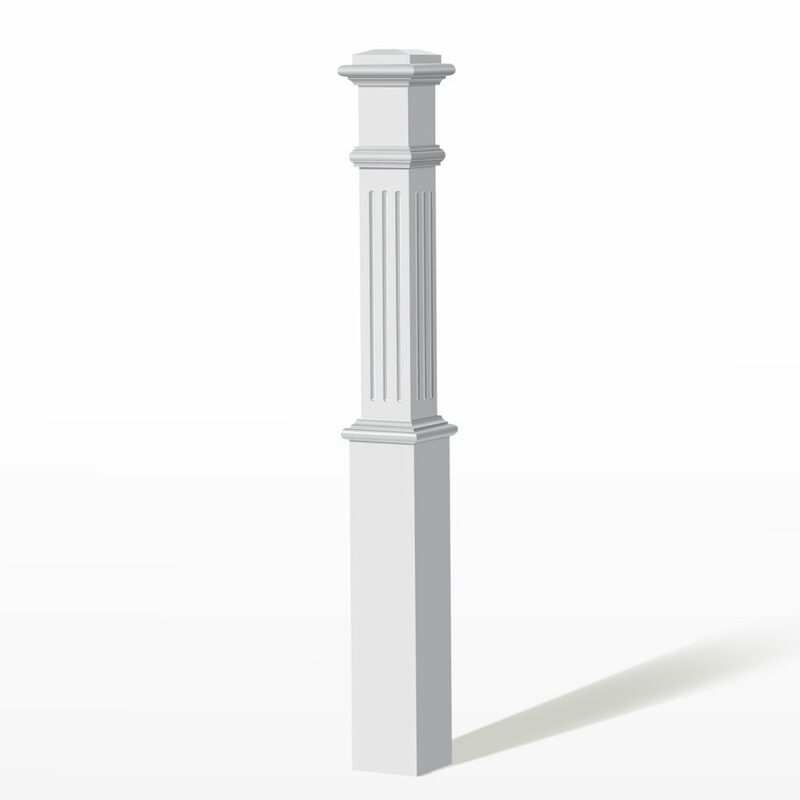 If you would like your Primed Fluted Box Newel split in half, please select “Split in Half” in the dropdown menu above. This box newel is not suitable for exterior conditions. If you purchased an unfinished White Oak newel and let us know that you intend to use it for exterior use, we could manufacture it with exterior glue. However, you would need to do the priming & painting on site. If you’re interested, please call us or email orders@stairsupplies.com.